(NaturalNews) The home of Presidents George Washington and Thomas Jefferson just took a major step forward on behalf of its citizens, in the realm of health freedom. A bill has made it out of a committee in the Virginia house that would help make health freedom a reality, by essentially nullifying provisions of the federal Affordable Care Act (Obamacare). As noted by the Tenth Amendment Foundation, which focuses on and promotes states' rights concepts like nullification, the bill, HB 685, introduced by Rep. R. Steven Landes earlier this month, "specifies that direct primary care agreements (sometimes called medical retainer agreements) do not constitute insurance, thereby freeing doctors and patients from the onerous requirements and regulations under the state insurance code." The practice is also called concierge medicine. The measure passed unanimously out of the House Commerce and Labor Committee, 22-0, making it eligible for debate and a vote on the full chamber floor, the foundation said. As reported by Michigan Capitol Confidential, removing a third-party payer from the doctor-patient relationship enables medical retainer agreements to help both by minimizing costs. "Under medical retainer agreements, patients make monthly payments to a physician who in return agrees to provide a menu of routine services at no extra charge. Because no insurance company stands between patient and doctor, the hassles and expense of bureaucratic red tape are eliminated, which have resulted in dramatic cost reductions. Routine primary care services (and the bureaucracy required to reimburse them) are estimated to consume 40 cents out of every dollar spent on insurance policies, so lower premiums for a given amount of coverage are another potential benefit." In short, the foundation noted, this will represent the medical cost savings that President Obama promised his law would deliver, but hasn't. Under provisions of the Affordable Care Act, regulations spell out what constitutes a primary care service and not simply health insurance plans; current IRS policy treats these monthly fee arrangements like any other health plan [in a sick irony, Obama and Democrats made the IRS the "enforcement" arm of Obamacare]. Several states including Idaho, Oklahoma, Mississippi, Texas and Missouri passed similar bills in 2015, the foundation noted. As you have probably heard, the president and his supporters say that opponents of Obamacare have not offered any viable alternative; this law and those like it, however, do just that. Direct primary care cuts through the red tape and middleman insurance companies, thereby lowering a medical practice's overhead, and making office visits and procedures less expensive. In addition, doctors and other primary care providers become much more responsive to the patients they are treating, not some "system" they must deal with. "Allowing patients to contract directly with doctors via medical retainer agreements opens the market. Under such agreements, market forces will set price for services based on both demand instead of relying on central planners with a political agenda. The end-result will be better care delivered at a lower cost," the foundation noted in an analysis. "A free healthcare marketplace within a state will help spur de facto nullification the federal program by providing an affordable alternative. As patients flock to these arrangements, the old system will begin to crumble." Doctors predicted that Obamacare would lead to a crush of patients flocking to concierge care. 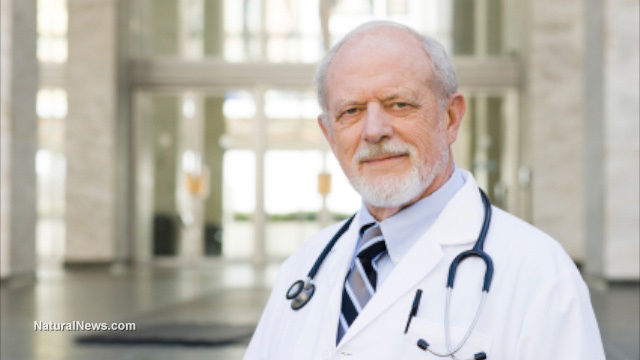 "The shortage of physicians caused by the implementation of the Affordable Care Act in the next five years will drive a massive increase in the popularity of Concierge Medicine in the US," wrote Dike Drummond, M.D., in The Happy MD in 2013. "As the typical healthcare organization adapts to the coming tidal wave of newly insured patients it will become very difficult for you to see your doctor when you are ill, impossible to see them for routine care and make the typical experience of getting a checkup feel like being dropped into a 'patient mill,'" he continued.